Coffee in and of itself is basically good for your health; these are the additives that can be harmful! Coffee has many health benefits, but it can suppress your appetite and some people use it as a meal replacement. The Bright Side website has been conducting research to try to find ways to make your cup of coffee healthier, without losing your appetite or affecting your metabolism. 1. Avoid artificial sweeteners and refined sugar. This may seem obvious, but coffee is healthy on its own; it is by loading it with sugar that we make it harmful to our health. Many popular variations of coffee contain artificial sweeteners or refined sugar. For example, an iced medium caramel Macchiato contains 34 grams of sugar and a white chocolate mocha contains 49 grams. The high concentration of fructose in sugar can cause all kinds of serious diseases such as obesity and diabetes. If you can not tolerate the taste of coffee without sugar, you can turn to a natural sweetener such as stevia. The quality of the coffee can vary and depends on processing and how the coffee beans are grown and roasted. In several cases, because of the need to mass-produce coffee and the fact that a coffee tree takes up to 5 years to mature and produce 10 kilos of coffee, some farmers water their coffee plants with synthetic pesticides and other chemicals . which are not intended for human consumption. These chemicals accelerate the growth period of each tree and the long-term health effects they have on humans are highly controversial. If you are concerned about the pesticide content in your coffee, buy quality organic coffee beans instead. Cinnamon adds an interesting flavor to coffee, but not only that; studies have shown that it can reduce blood glucose and cholesterol levels. It contains antioxidants that protect the human body from oxidative damage caused by free radicals. Cinnamon can also lower major risk factors for heart disease, such as cholesterol, triglycerides, and blood pressure. 4. Add cocoa to your coffee. Cocoa, like cinnamon, is rich in antioxidants and provides many health benefits, including reducing the risk of heart disease. It also contributes to weight loss by improving mitochondrial biogenesis and also provides neuronal protection. According to the National Institute of Health, cocoa improves cognitive health and positive mood. And, it's simply delicious! 5. Avoid drinking too much coffee. Drinking coffee can be very healthy for the body, but an excessive amount can cause a variety of health problems. 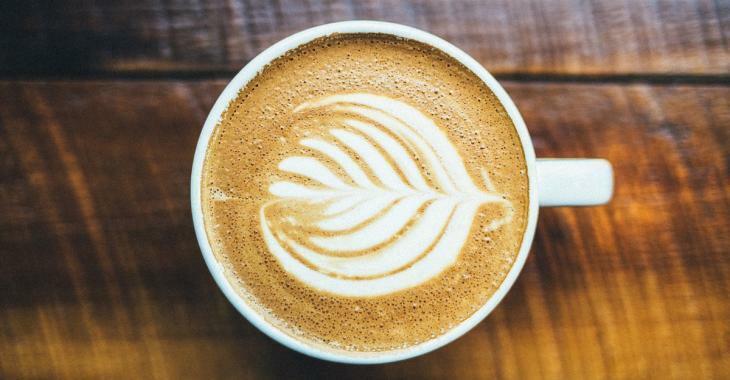 Too much caffeine can cause anxiety or nervousness and can affect your sleep patterns, disrupt sleep quality, and develop caffeine dependence or addiction. This could mean, for example, that instead of needing one cup of coffee to help us wake up, we would need three. Drinking coffee is a benefit versus risk balancing act. You have to pay close attention to your body to properly dose everything. Caffeine makes coffee popular because it is a stimulant that gives energy to help us stay awake, alert and productive. Drinking coffee later in the day can interfere with sleep, no matter how high our tolerance is. And we know that poor sleep can lead to other serious health problems. If you want to drink coffee later in the day, it is better to choose decaf or choose a cup of black tea instead, which contains much less caffeine, but still gives you a boost of energy. Cream is the ingredient most often added in coffee. Well-known low fat artificial creamers are generally highly processed and may contain questionable ingredients. Whole and natural ingredients are a much safer way to go when choosing what to add to your coffee. Heavy cream reduces abdominal bloating and contains less lactose, which facilitates digestion for lactose intolerant people compared to other creams. Opt for whole cream in your coffee, preferably from grass-fed cows. Infused coffee contains cafestol, a diterpenoid molecule that increases cholesterol levels in humans. Using a paper filter to make your coffee decreases the amount of cafestol, while still allowing the caffeine and all antioxidants from the coffee beans pass through.